Every 6 months I update my top 10 favorite tabletop games list. Those 6 months have flown by–I play a lot of games, and I’m always curious to look back at my tastes over that period to see if they’ve changed. There are many, many games that won’t make this list, including all games that I’ve designed (Viticulture, Euphoria, Scythe, and Charterstone), published (Between Two Cities), or experienced as a one-time campaign (Risk Legacy, Near and Far, Pandemic Legacy, etc). Rather, the deciding factor on this list is how much I would like to play these games right now. And not just in a “new hotness” kind of way. These are games that I’ve continued to play over and over, and I’m always excited when someone wants to play these games. Moving off the previous list are several games I still adore, but they’re just not quite in the top 10 right now. As you can perhaps tell from the title and the list below, there are 12 games, not 10. I simply couldn’t cut it down to 10, and I get to make the rules, so I’m extended the list to 12 this time! For such a light game, I have so much fun with When I Dream that I had to keep it on the list. It’s a game where you take turns “falling asleep” while players with various intentions give you clues to a series of cards. It tops other party games I love because it actually plays well even at low player counts. I literally just played this for the first time a few days ago, but I played it twice in a row, and I would have gladly continued to play it. 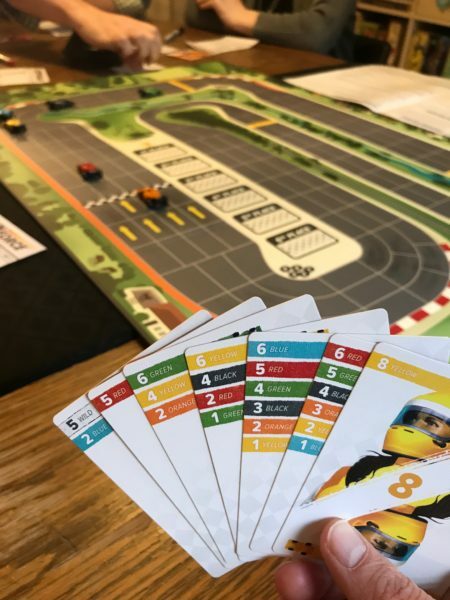 It’s a fantastic race game full of interesting decisions and a clever mix of positive and negative interactions. 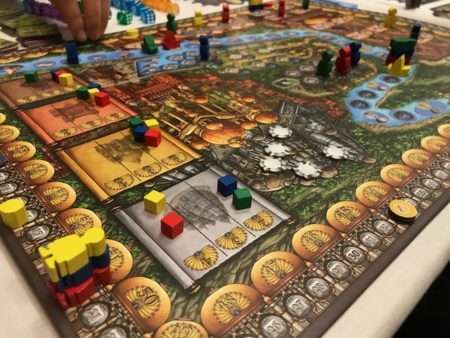 Orleans kind of jumped on this list out of nowhere, as it wasn’t on my radar until I looked through my BoardGameGeek ratings. I realized that even though I don’t play this often, I would gladly play it most any time. Also, I love that it offers fully satisfying experiences as both a competitive and a cooperative game. I’ve been completely hooked on this game for the last few months. It has a brilliant track-intersection mechanism, and it’s constantly rewarding you. I love rewarding games. If you like medium-weight Euro games, I highly recommend Rajas of the Ganges. I’ve loved this heavy Euro game for a long, long time, and I’m still eager to play it. I think I’ll always consider it one of my favorite games, and as much as I appreciate the design of its spiritual successor (Gaia Project), I think I’d still choose this over it. I mention another 45-minute game later on this list, but this one is right up there with it. 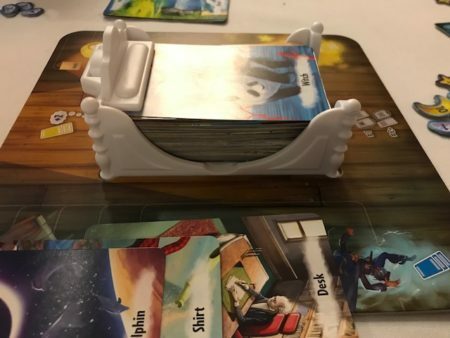 I love I-cut-you-choose games, and this one adds to it a brilliant scoring system that makes every game feel unique. 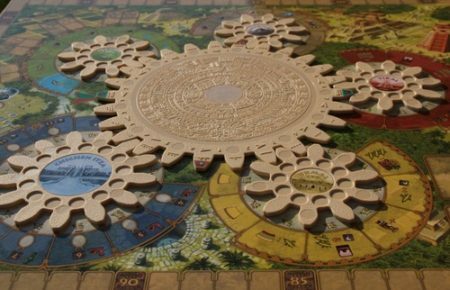 Tzolk’in wasn’t on the last top 10 list, simply because it doesn’t get to the table as much as it used to. But I really do love this game. The gears, the use of time as a resource, the engine building…it’s an amazing medium/heavy Euro. Clank is a blast to play. I love the different paths, the huge stack of cards, and the tension between going deep into the dungeon and getting out in time. It’s one of the few games for which I’m eager to play every expansion. Whenever I have 45 minutes at a game night, I want to play Scotland Yard. 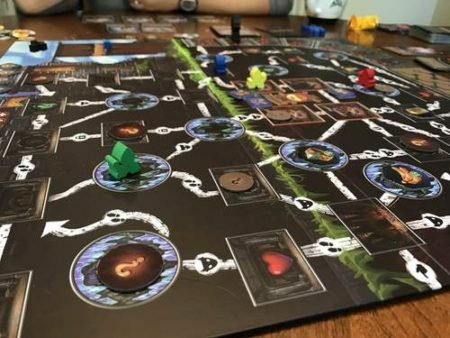 It’s a hidden movement game–a genre I typically don’t like–but it’s distilled down to the core elements here, and that allows so much fun to emerge from every play. Well, that and the fact that Mr. X needs to reveal himself a mere 3 turns into the game. That beautiful design decision ratchets up the fun, giving players a feeling of agency and control while offering Mr. X plenty of opportunities to feel sneaky and clever. It’s almost a bit of a surprise to me that this ended up so high on the list, but I absolutely love the puzzle of this 2-player game. It’s so simple, so fast, yet there are so many interesting decisions. 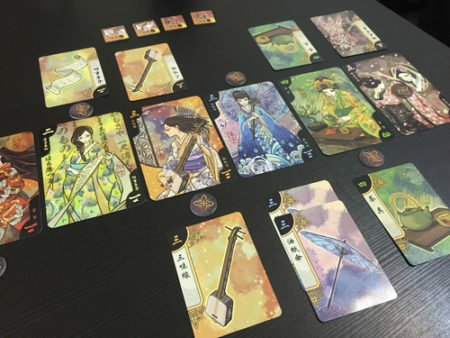 I am always up for playing Hanamikoji. This has been my favorite game for a while now, and in many ways it still is. It’s a wholly different game than the game I’m putting in the #1 spot. 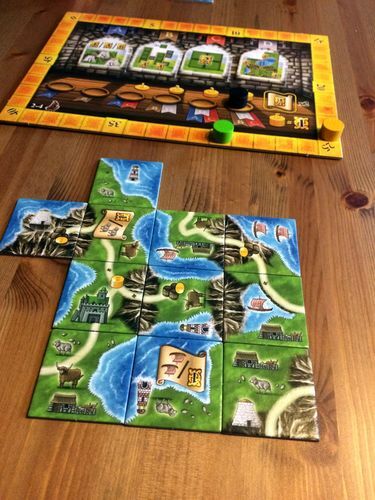 But I’m constantly drawn to Castles, even when I go months between plays of it. I love the I-cut-you-choose element, the rewarding aspects of pretty much everything you do, the vast opportunities to feel clever, and the end result of each game. 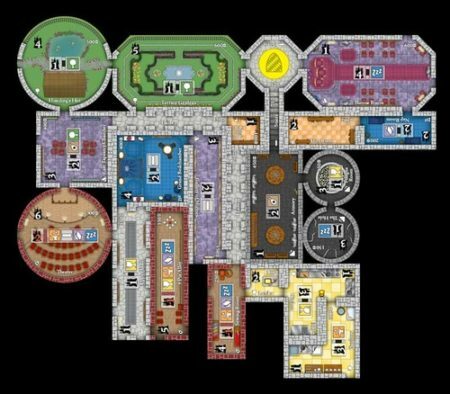 Earlier today on a livestream I listed Castles of Mad King Ludwig as my favorite game. And it very well may be. But if you told me that I could play a new TIME Stories module or a game of Castles, I would simply have to go with TIME Stories. I get as excited about each TIME Stories module as I do about Hollywood blockbuster movies. That comparison is apt because you feel like you’re in a movie when you play TIME Stories, except it’s even more immersive. Each session feels like an instant memory, an unforgettable experience. I love this game. That’s my list! Are any of these among your favorites? What are some of your favorites that aren’t on my current list? This entry was posted on Wednesday, February 21st, 2018 at 11:28 pm	and is filed under favorites and tagged with board game, favorites. You can follow any responses to this entry through the RSS 2.0 feed. I love TIME stories, but I do wonder why it’s on your list, surely every module is a one time experience? Is this because you are still experiencing the overarching theme? You’re absolutely correct that each module is a one-time experience. But unlike other campaign games, there’s no defined end point to TIME Stories. Hi, Jamey! 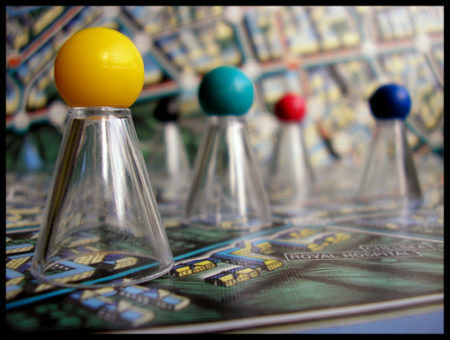 I’m glad to see some classics like Scotland Yard and Downforce (a new game, but an old design) on your list. I don’t have a Top 10 list, but there are five games that I rate 10/10: Concordia, Modern Art, El Grande, Tikal, and Twilight Struggle. Thank you for sharing your thoughts on your favorite games! Marcius: Thanks for sharing your 10s! I haven’t played Modern Art and Tikal, but it sounds like I need to. 🙂 I love Concordia! The one that jumped into my Tpo 10 has to be Raiders of the North Sea. I absolutely love the worker placement in this game, whereby you receive two great benefits per turn, one when you place a worker and one when you take a worker from its current location. The game plays quickly and there are so many excellent choices from worker placement to the use of cards to which are you should send your Vikings to attack…great fun! I like that your list constantly changes, it echoes the reason I haven’t (can’t?) make one. My tastes and experiences change too often. When chatting with a podcasting friend of mine he said, “Ya, but if you could pick the group that played, which game(s) would you pick?” And that still didn’t help me. I enjoy the spontaneity of the groups forming on the night of, and everyone contributing to choosing the games we want to play. And there are so many fluctuations, like 7 Wonders, which I continue to love but comes and goes. We played it like crazy years ago, and now are getting back into it as my 6 & 8 year olds can understand it. And some games I love to play with the exact right numbers and people (Captain Sonar) but I would get bored of it if we played regularly. Well said, Conor! I have fun making the list, but there are certainly many different ways I could look at it (best experiences, best games for different groups, etc). I recently got the chance to play rajas, and I’m with you. The game is great and I want to play it now. 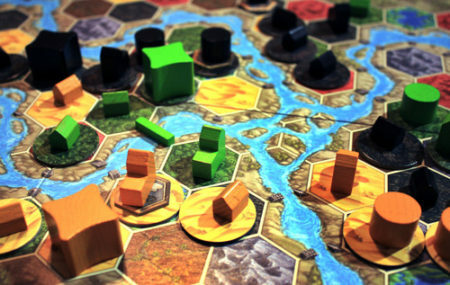 Also with you on Terra Mystica. 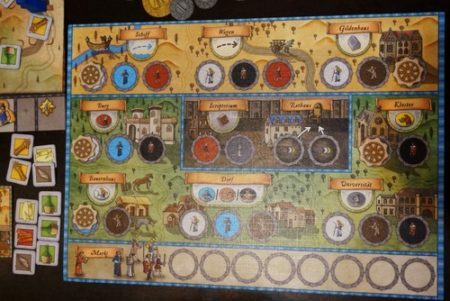 What do you think of Feld games like Trajan and Castles of Burgundy? Those are games I’ve never been tired of. I’m glad you like Rajas! I didn’t connect with Trajan, but I really like Castles of Burgundy. Good looking list, Jamey. However, I must admit I have yet to try 5 of your top 12 games… including your #1, 3, and 4! Tzolk’in is also a game that I am really enjoying lately. I don’t know if you are a fan of “point salad” games but I’ve also really been enjoying Pulsar 2849 lately. 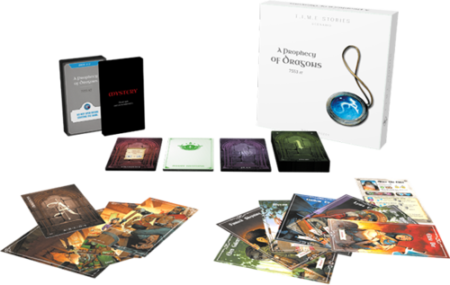 It contains a very interesting dice drafting mechanism and lots of fun decisions to make. I hope you get the chance to try some of them! I like point salad. Some people were playing Pulsar 2849 at a game day this past weekend, and it definitely looks like something I would enjoy.